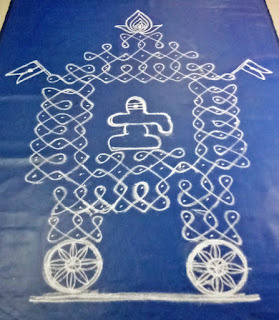 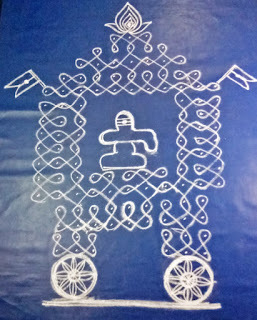 This is Thiruvathirai Chariot (Ther ) kolam.Watch the video & try this one. 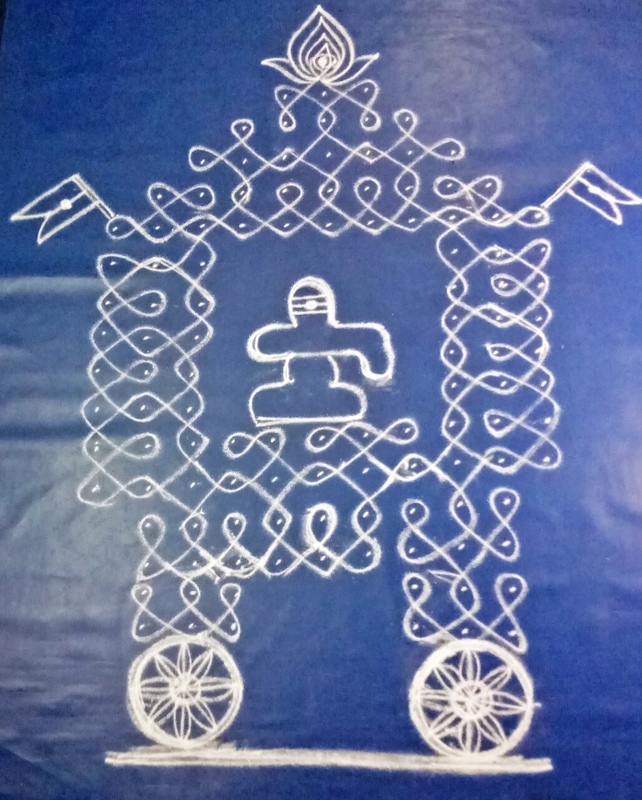 For creating dots from top to bottom (wheels):First draw 1,3,5,7,9,11 dots.Then 3 dots on left & right side with 5 rows as shown in the photo.After that 11dots with 2 rows,then 9 dots with 2 rows followed by 3 dots on each side with 2 rows. 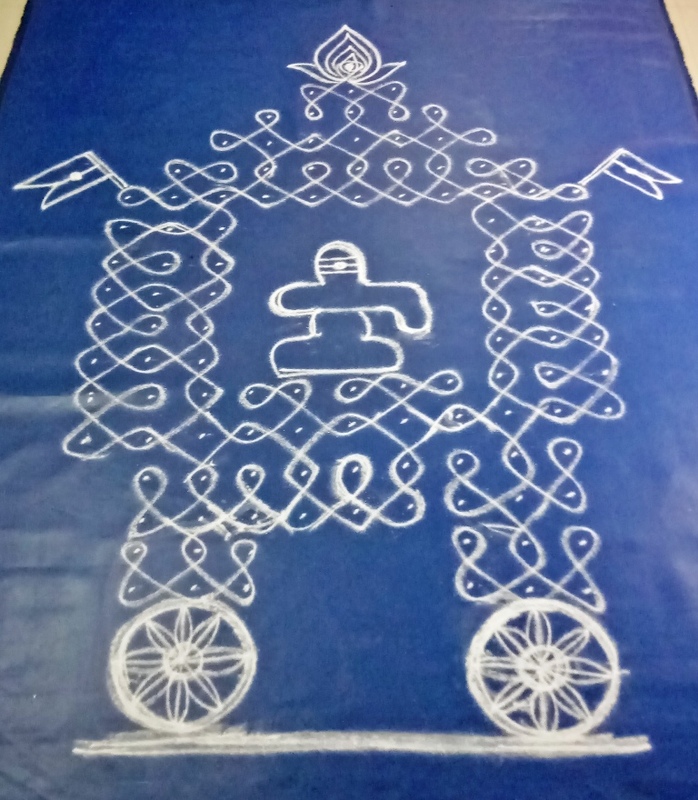 Dots creation is simplified to the maximum extent & video with slow speed for following.This you can draw at your entrance & also in pooja room.Let us pray mother Sivagamavalli & lord Nataraja on this auspicious day to lead a happy & peaceful life & finally liberation from this birth cycle.